Graduated from Mitchell Technical Institute in 2000 with a AAS degree in Electrical Construction and Maintenance. In 2006 myself and Stacy started Pro-Tech Electric, Inc which has been successfully growning and expanding over the last 10 years to 15 employees today. Studied Accounting and business management at Clark College. Working in bookkeeping for the last 18 yrs. 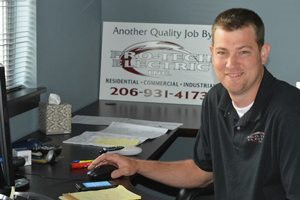 Has helped grow Pro-Tech Electric Inc along with raising two children. 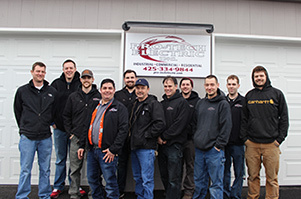 Pro-Tech Electric, Inc. provides Electrical Installation and Maintenance for all types of Commercial and Industrial projects including tenant improvements, Office Spaces, Medical, Dental, Restaurant and Retail applications. Along with Fire Alarm, network cabling, security and camera systems. © Copyright 2006 - 2017 Pro-Tech Electric, Inc. All rights reserved.